The US will have the world’s highest density of NFC point-of-sale terminals in five years time, the forecasters say, as the global installed base increases from 3.9m today to 43.4m in 2017. 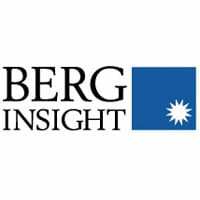 BERG: NFC mobile wallets "will create an unprecedented opportunity for retailers"
The market for NFC-ready POS terminals “grew fiercely” in 2011 with annual shipments doubling to an estimated 2.5 million units worldwide, according to a new research report from Berg Insight. A total of 3.9m NFC-ready POS terminals were installed globally by the end of 2011, Berg says, and the number is due to grow at a compound annual growth rate (CAGR) of 49.4% to reach 43.4m units in 2017. “The rapid growth was driven by a transition in the NFC-payments ecosystem from performing trials to accelerating the rollout of NFC-ready payment infrastructure, in preparation for the arrival of NFC-based mobile payment services,” say the forecasters. “Mobile wallet services will create an unprecedented opportunity for retailers to interact with consumers in real-time while their purchasing decisions are being formed, for instance by delivering personalised offers in real-time while consumers are inside the shop”, says Lars Kurkinen, telecom analyst at Berg Insight. In 2017, I don’t believe there will be a such thing as a POS terminal anymore. The POS terminal as well as the card processing machine are old, physical bulky items. Expect to see more subtle, integrated designs in touch panel monitors that can accept NFC taps in 2017 in my opinion.